Patients who are diagnosed with esophageal cancer have options. A BMC physician will work with the patient and their family to discuss their unique situation and all possible treatments. Factors that will be taken into consideration in determining the best treatment plan are the size and location of the tumor, the involvement of surrounding tissue, whether it has spread to other body parts, and the patient’s overall health. Esophagectomy is the surgical removal of the esophagus. Esophagectomy typically is recommended when the cancer has not spread to other parts of your body, and is potentially curable. In esophagectomy, most of your esophagus and nearby lymph nodes are removed, your stomach then moved up and attached to the remaining portion of your esophagus. There are several techniques for performing esophagectomy. Your surgeon will consider several factors such as overall condition, the size and location of the tumor, and the involvement of the tissue and organs near the tumor. Prior to surgery, the patient will meet with their surgeon. At that time, the surgeon will review the results of all tests and diagnostic procedures that have been done up to that point, ask about medical history, and perform a physical examination. The surgeon will discuss his or her findings and recommendations. Patients should tell their doctor about any allergies to medication or problems with anesthesia. The surgeon will give specific instructions about dietary or activity restrictions, and he or she will instruct whether to take one’s regular medications on the day of the procedure. Patients will also be asked to not eat or drink after midnight on the night before their procedure. Transhiatal. The surgeon makes incisions in the abdomen and neck. Once he or she gains access to the esophagus and stomach with the abdominal incision, he or she will separate the stomach and esophagus from nearby structures and remove nearby lymph nodes. After making the neck incision, the surgeon separates the upper part of the esophagus from nearby structures and remove it, and then makes a tube from the top part of the stomach, and attaches it to the remaining part of the esophagus. Transthoracic. After making an incision in the abdomen, the surgeon removes the upper part of the stomach, as well as the lower and middle parts of the esophagus and nearby lymph nodes through this incision. He or she makes an incision in the left or right side of the chest and removes the remaining part of the esophagus. The surgeon will make a tube from the stomach, and attach it to the remaining part of the esophagus. The stomach and esophagus may be reattached either in the chest or through a third incision in the neck. Thoracoabdominal. The surgeon makes one long incision down the chest and into the abdomen. He or she then removes the esophagus and part of the stomach, and reconnects them in the neck or the chest. Minimally invasive. The surgeon makes a series of small incisions, and inserts tube-like instruments, including a video camera, through them. He or she will remove the upper part of the stomach, most of the esophagus, pulls the stomach up, and connects it with the remaining part of the esophagus. The remaining esophagus and stomach are connected either in the chest cavity or the neck. Whichever approach is used, the physician will leave a small feeding tube that can be used to provide nutrition while the esophagus heals. This is not a permanent tube, and removing it is not difficult or painful. Depending on the surgical approach, esophagectomy takes approximately 5 to 10 hours to complete. Following surgery, patients are transferred to a recovery area near the operating room where they will be connected to several monitoring devices. Members of the team will watch the patient as they awaken. When ready, patients are transferred to a bed in the intensive care unit. Nurses in these units are specialists in caring for patients who have had esophageal surgery. Prior to discharge, the patient is instructed how to care for their incision. Gradually, over the course of a few weeks, they regain their strength and are able to return to work and participate in physical activity. Patients should always take their medicine exactly as prescribed and call the doctor if they have any questions or changes. Chemotherapy is a medication or combination of medications used to treat cancer. Chemotherapy can be given orally (as a pill) or injected intravenously (IV). When chemotherapy drugs enter the bloodstream, they destroy cancer cells. Chemotherapy is particularly useful for cancers that have metastisized, or spread. Chemotherapy attacks all quickly-dividing cells, regardless of whether they are cancerous which can cause a number of side effects, including hair loss, mouth sores, loss of appetite, nausea and vomiting, diarrhea, and low blood counts. Low blood counts can increase a patient’s risk of infection, bruising or bleeding, fatigue, and shortness of breath. The side effects of chemotherapy are generally temporary and often go away once treatment is completed. Chemotherapy regimens vary from patient to patient. They are generally repeated several times in cycles, with three to four weeks separating each cycle to allow damaged normal cells time to recover. After the first two or three sessions of chemotherapy, patients may have a CT or PET scan to see if the drug(s) is effective. If the drug(s) is not working, it may be switched out for a new drug(s). Cryotherapy is the use of freezing diseased tissue or cells inside the body to eliminate those cells so the body can grow new, healthy ones. Patients should tell their doctor if they have any allergies to medication or have had problems with anesthesia. The doctor will provide any specific instructions about dietary or activity restrictions, as well as whether or not to take one’s regular medications on the day of the procedure. Before treatment starts, the doctor will prescribe a medication that decreases stomach acid, such as Aciphex (rabeprazole), Nexium (esomeprazole), or Prilosec (omeprazole). After the procedure, patients are taken to a recovery area until they are awake and alert. Because of the use of a sedative, they will not be able to drive and should arrange for a ride home. 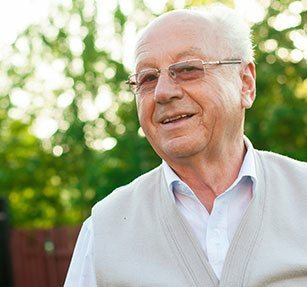 Endoscopic mucosal resection, or EMR, is one of the newer, more minimally invasive techniques we offer for our esophageal cancer patients who have small tumors that have not spread outside of the esophagus. It may also be beneficial for patients with Barrett's esophagus. In this simple procedure, we are able to locate, remove, and examine cancerous or precancerous lesions of the esophagus. The mucosa is the innermost lining of the esophagus, and it extends down into your gastrointestinal tract. Cancers in this tract often originate in the mucosa, thus making visualization and access to it essential for diagnosis and treatment. Before recommending EMR, the physician will meet with the patient, take a medical history, and perform a physical examination. He or she will review any imaging and order additional tests, if necessary. The patient may come in for a pre-admission visit to take care of these items and complete paperwork. Patients should bring a list of allergies and names and dosages of any medications, supplements, or herbs that they take, and leave their valuables at home. It is important to follow any other specific instructions carefully, and also arrange for a ride home following EMR. Due to its minimally invasive nature, EMR is generally an outpatient procedure. Unlike traditional surgery, a hospital stay is usually not required, and patients can resume normal activities soon after. Once the throat area is numbed, a needle is inserted and the tumor is injected with a solution to decrease bleeding as well as to create a protective blister so that removal does not damage the rest of the esophagus. Then the physician inserts an endoscope, a small, flexible, lighted tube, with a cap and a small wire loop at the end. The tumor will be lifted and cut from the mucosa and sucked into the cap as high-frequency electrical energy is applied. The tissue can be analyzed in the laboratory, and EMR may be repeated if all of the affected tissue is not removed the first time. EMR combined with another treatment method, such as photodynamic therapy, is a common strategy for early-stage esophageal cancer. After the procedure, patients rest in the recovery room for a few hours. They should avoid strenuous activity for a few days after EMR. They will have a follow-up appointment in the coming weeks. Patients should call the Center if they notice any redness, swelling, or pain, or have any concerns. Sometimes esophageal cancer blocks the airway or presses on it and makes breathing difficult. Stent placement is one way to improve breathing and swallowing and to ease pain and discomfort. Stents are small tubes - usually made of mesh, metal or plastic - that are inserted into the esophagus. For esophageal cancer patients, metal stents tend to be more effective and lead to fewer complications than plastic stents. Typically, an endoscope, an instrument that allows us to view your throat, is used to thread an expandable stent into the esophagus. Once in place, it is released, pushing the esophageal walls open. Placing a stent is less invasive than surgery, allows for quick administration of nutrients/food and is reversible, providing a good palliative option. Stents can also be used to treat obstructions in other types of cancer (such as lung cancer), as well as to facilitate blood flow in arteries. Preparation is rarely extensive, but it is important to follow physician orders prior to the procedure. Stent placement can be done using local or general anesthesia, depending on the patient; general anesthesia may require avoiding food and drink after midnight on the day before the procedure. Patients should also arrange for someone to drive them home. The patient will be monitored carefully throughout this procedure. Once the anesthesiologist has numbed the throat area or sedated the patient, the surgeon will insert the endoscope through the patient’s nose or mouth, or through an incision. A folded-up stent is advanced to the esophagus and released. It expands automatically against the walls of the esophagus, providing support. Once it is in place, the endoscope is removed. Stent placement requires minimal recovery and is often an outpatient procedure. Usually the patient spends some time in the recovery room until they awaken fully, and should spend the remainder of the day resting, and by the following day should be able to return to normal activities. Microwave ablation is a cancer treatment in which microwave energy is sent through a narrow, microwave antenna that has been placed inside a tumor. The microwave energy creates heat, which destroys the diseased cells and tissue. It is a newer method of treating lung cancer that can target and kill cancerous cells and relieve pain. Any suspicious mass of tissue or tumor is subject to a biopsy, or removal of cells from the mass. This is the only technique that can confirm the presence of cancer cells. The doctor will use a general or local anesthetic depending on the location of the mass, and then remove a sample of tissue to send to the lab. The sample is sent to a pathologist, a physician who is an expert at identifying diseased cells in tissue samples. Very often, a few stiches are used to help the area heal, and tenderness is felt for a short period of time. Patients should tell their doctor about any allergies to medication or if they have had problems with anesthesia. The surgeon will give specific instructions about dietary or activity restrictions, and will also instruct whether it is safe take any regular medications prior to the procedure or on the day of the procedure. Patients also may be asked to not eat or drink after midnight on the night before their procedure, and they may wish to ask a friend or family member to drive them to their procedure. Microwave ablation may be performed on an outpatient basis and may not require general anesthesia—a mild sedative and local anesthetic are often enough. The patient will be positioned on an examining table, and will be connected to machines that monitor heart rate and blood pressure during the procedure. A nurse or technologist will insert an intravenous (IV) line in the patient’s hand or arm to give sedatives and other medications and fluids. The physician will use a CT scan to precisely locate the tumor. A small incision is made, and an antenna is advanced through the incision to the site of the tumor using CT guidance. Once the antenna is in place, the energy source will be activated. The heat also helps close small blood vessels and lessens the risk of bleeding. After the abnormal cells are killed, they shrink and turn to scar tissue over time. Each ablation takes between 10 and 30 minutes, and the entire procedure typically takes between one and three hours. Following the ablation procedure, patients are taken to an anesthesia recovery room where their vital signs will be monitored. In addition, they will have a chest x-ray to ensure that their lung has not collapsed from an air pocket created in the space between their lungs and chest wall (called a pneumothorax). If the physician finds a pneumothorax, which is rare, they may have insert a tube to remove the air. Once stabilized, the patient may be transferred to a hospital room, and may stay overnight. Typically, patients are discharged within 24 to 48 hours after tumor ablation. Recovery is usually quick, and patients are able to resume normal activities within a few days. They may experience discomfort from the ablation needle site, and may experience fatigue, muscle ache, and possibly a low-grade fever (up to 102° F) for several days following the procedure. Photodynamic therapy (PDT) can be used for some very small cancers or precancerous changes in the esophagus to try to eliminate disease. If the patient’s cancer is larger and causing symptoms such as difficulty swallowing or bleeding, PDT can be used to help these symptoms. Patients receive an injection of a light-sensitive drug that remains in cancer cells longer than in healthy cells. They then have an endoscopy, during which the physician will place a laser light in the esophagus that reacts with the drug in the cancer cells to destroy these cells. It is important to follow any physician instructions to prepare for surgery. Each session of PDT is relatively simple. Patients receive either a photosensitizer drug and wait until it has concentrated in the tumor, or they may have the drug administered and return days later for phototreatment. Phototreatment takes place on an exam table, and the patient receives local or general medicines for pain control and relaxation. The appropriate type of light is activated over the tumor in a strong, targeted beam. The procedure lasts as little as a few minutes, and up to two hours. Recovery from PDT is typically quite easy. Patients may experience some dryness or mild burning on the skin, but other effects are uncommon. Gentle skin products such as Vaseline can be helpful. Avoid the sun, as light sensitivity is increased for a time following PDT; even a few minutes of sun exposure can sometimes cause discomfort. Please follow any doctor's instructions regarding medications and physical activity, but most patients are able to return to normal activities right away. Radiation uses special equipment to deliver high-energy particles, such as x-rays, gamma rays, electron beams or protons, to kill or damage cancer cells. Radiation (also called radiotherapy, irradiation, or x-ray therapy) can be delivered internally through seed implantation or externally using linear accelerators (called external beam radiotherapy, or EBRT). Radiation may be used as a solitary treatment or with surgery and/or chemotherapy. The equipment used to deliver the radiation therapy is called a linear accelerator. The linear accelerator has a moveable arm, which enables the radiation to be focused on the part of your body where the cancer is located. Developments in EBRT equipment have enabled physicians to offer conformal radiation. With conformal radiation, computer software uses imaging scans to map the cancer three-dimensionally. The radiation beams are then shaped to conform, or match, the shape of the tumor.